It is time to summarize the TOP 5 year 2012 ranking of reviewed restaurants by the end of August. All scores are based on personal experiences and feelings of at least two people. If same restaurant would have been visited twice better scores would be included in the ranking. Scoreboard includes only restaurants in Helsinki although some restaurant reviews were performed outside of Helsinki and abroad. 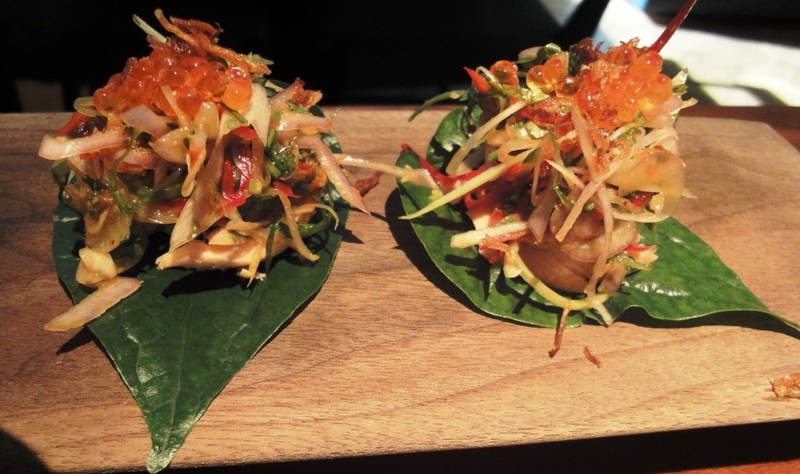 Farang is a restaurant which serves modern Asian cuisine. Restaurant opened its doors in August 2009. Unique concept in Finland and delicious food, always full. 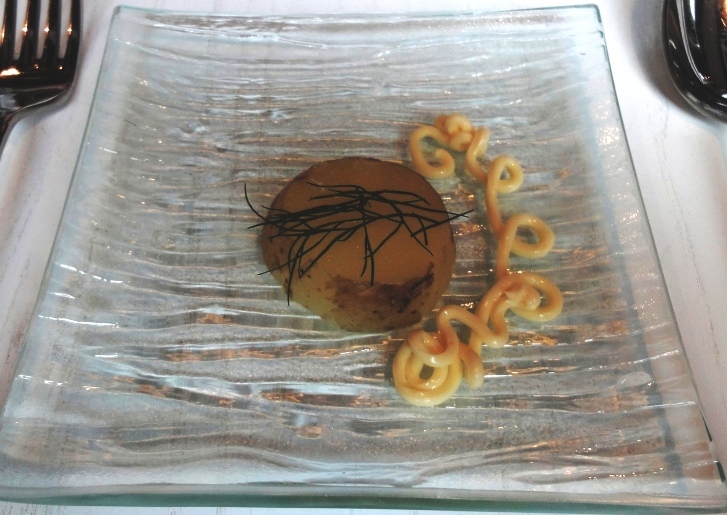 Restaurant Demo is a 45 -seat Michelin star restaurant that opened its doors January 2003. Has been able to keep Michelin star for 6 years. 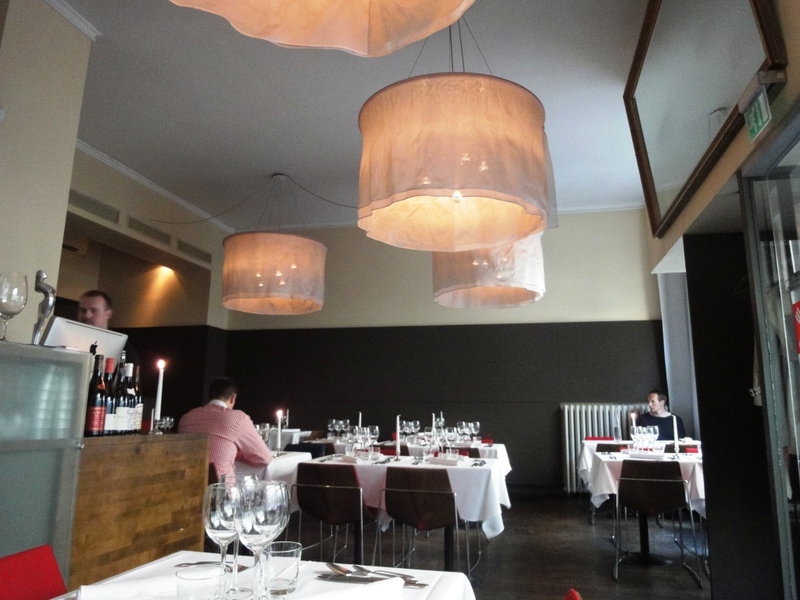 Restaurant Spis is small 18-seat Nordic restaurant which was opened in January 2012. Interesting newcomer. 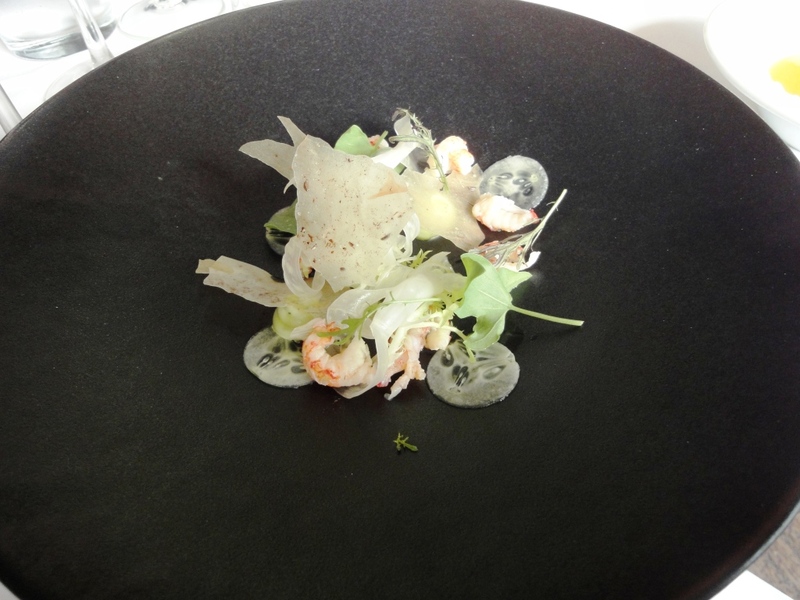 Example pictures are first courses; Farang, Demo and SPIS. In the future ranking list will be updated on the page: RESTAURANT REVIEWS. Please check later for possible changes in ranking or scores. 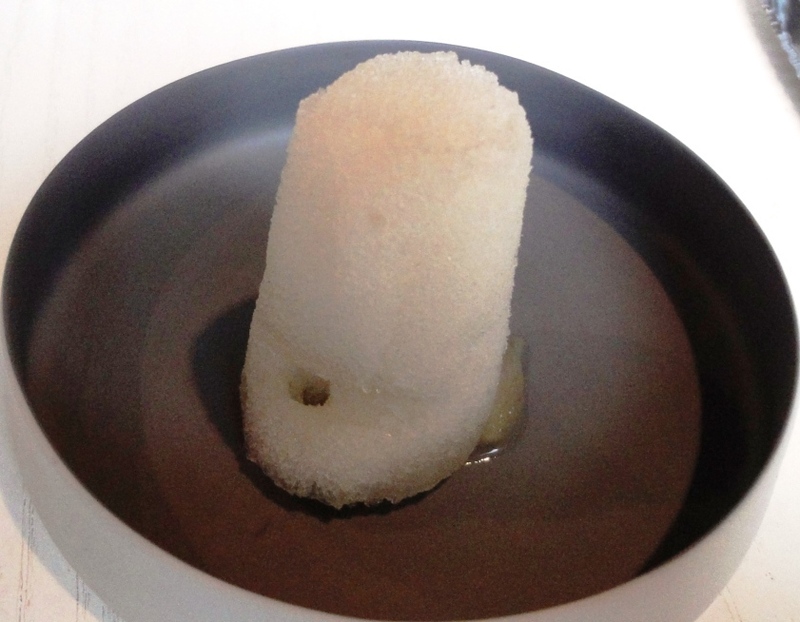 Restaurant Demo is a 45 -seat Michelin star restaurant that opened its doors January 2003. Demo serves high class food combined with personal and friendly service. 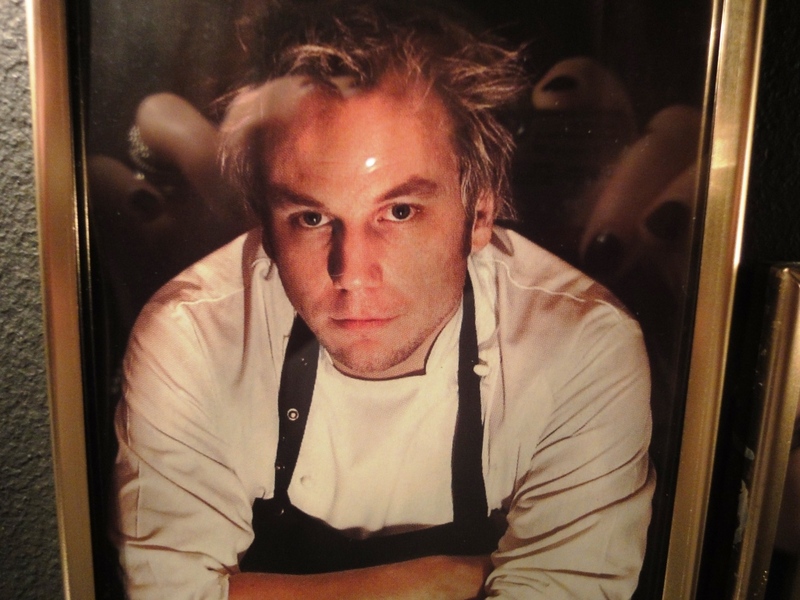 Demo is owned by chefs Tommi Tuominen & Teemu Aura. Their goal is to offer a chance to top quality dining, in a relaxed and cozy environment. Means that Demo is casual Michelin star restaurant in Helsinki. Background music includes lounge music, Sade Adu but also more fast tracks. Waitering is also easy-going but professional. 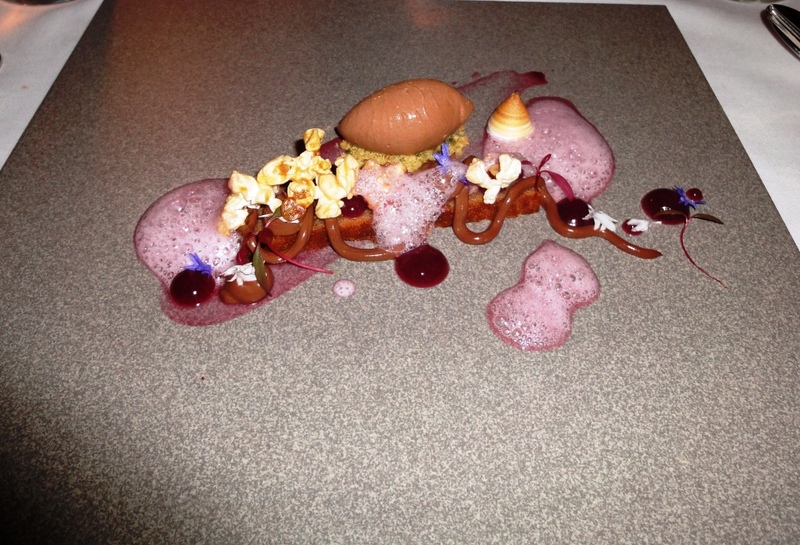 Demo earned it’s first Michelin star in 2007 and has been able to keep it for five years. Restaurant is open only in the evenings from Tuesday to Saturday. 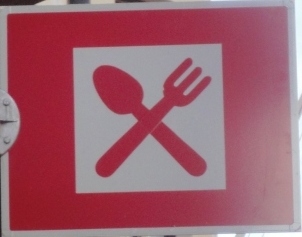 On Saturday you can only choose Menu fo the Day of 4, 5 or 6 portions, which you do not know beforehand. You can also order wine pairings instead of bottle or glass of wine chosen by sommelier. 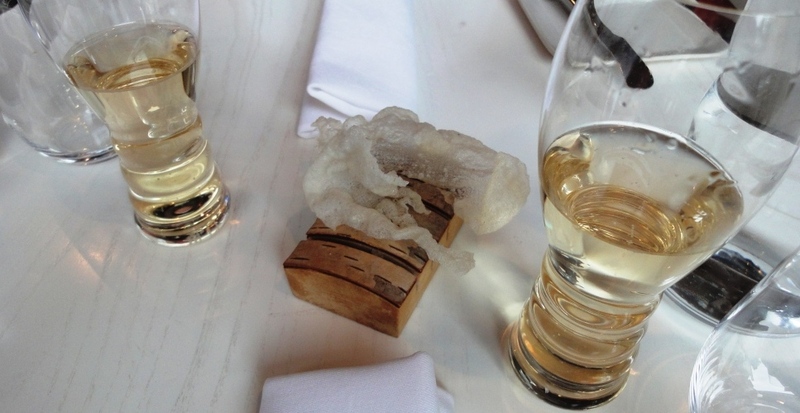 Oldest wine served with food was this time from 1989. 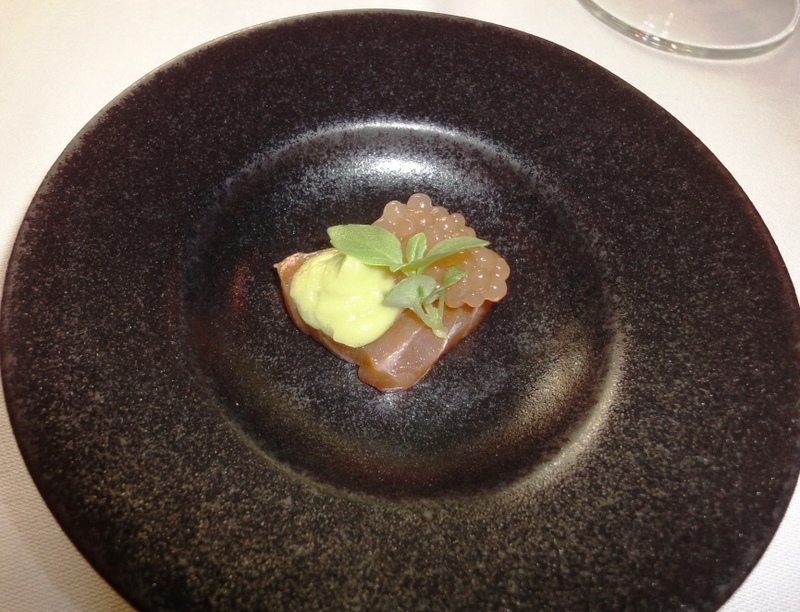 Menu started with Greetings from kitchen; salmon and roe which were perfectly complimented with delicious wasabi sauce. One small spoonful, could have eaten at least five of them. 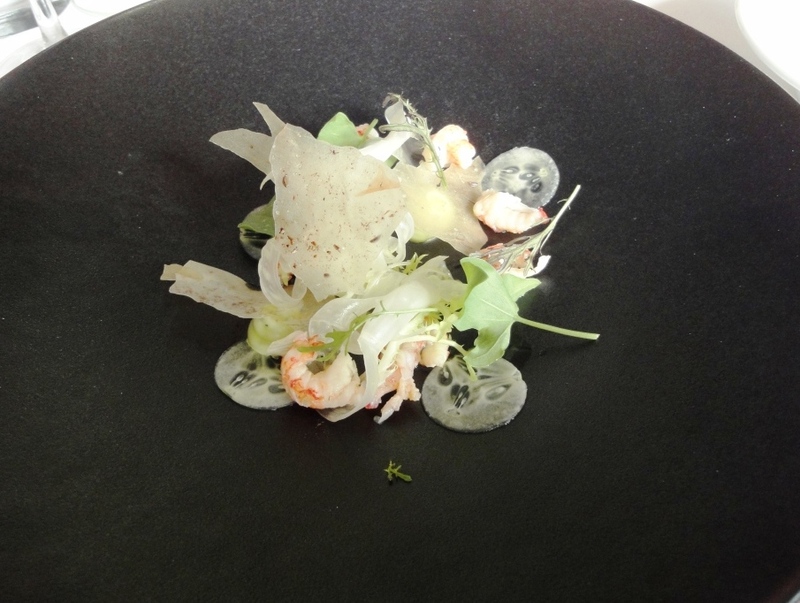 First course consisted of crayfish, fennel and gherkings. Great combination! Crayfish, which is the best tasting shellfish, was soft and juicy. White wine with first course was Savignon Blanc from Spain; rare grape for Spanish vineyards. Savignon Blanc is not the favourite one, prefer usually Riesling, but this time it suited well for the crayfish. Second course was Forest deer carpaccio with carrots, fennel, parsley and delicious paste. Roe or forest deer was so tender you could have eaten it with a spoon. White wine served tasted a little bit too much for butter. It was again from Spain; interesting that you can not find any Spanish white wines from wine list. Third course was Pan fried cod, mussel fregola and lemon grass sauce. Cod was prepared with orthodox way, meat of the fish was cooked to a turn and skin was crispy and delicious. Mussel fregola matched well with fish and cooked like pasta should. This time white wine was Chardonnay from France. Wine aroma and flavour was oaken as Chardonnay’s usually are but not so buttery as it could have been. Fourth course and first dessert was Cheese selection and house nut bread. Enjoyment started from the left with milder cheeses. When stronger white mold cheese smeteld in the mouth felt like it could not become better. However, when salty and strong blue cheese ended course, earlier evaluation was wrong. Kitchen also had taken into consideration one of our wishes and served sweet Ravioli instead of cheeses. For cheeses wine was sweet vintage red which tasted almost port wine. For ravioli wine was sweet white wine. Bread seemed to be one of Demo’s specialities. 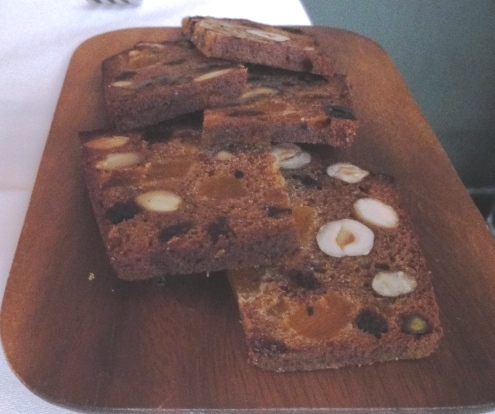 House nut bread with cheeses was excellent but focaccia and bread with fennel were super excellent! Fifth course and second dessert was Arctic cloudberries with yogurt and popcorn. Popcorn was pleasant surprise and the whole portion scrumptious. White wine served was sweet and it was perfect match with dessert which was not too sweet. With coffee and tea kitchen served small confections which were luscious. After eating two pieces already thought that third might be too much. 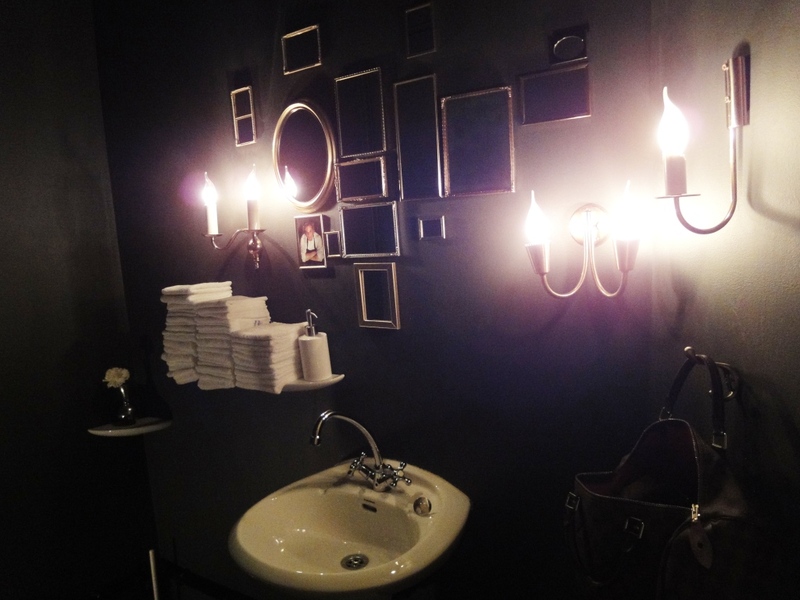 One interesting detail was that you can find small pictures of owners/chefs on the restroom wall’s. 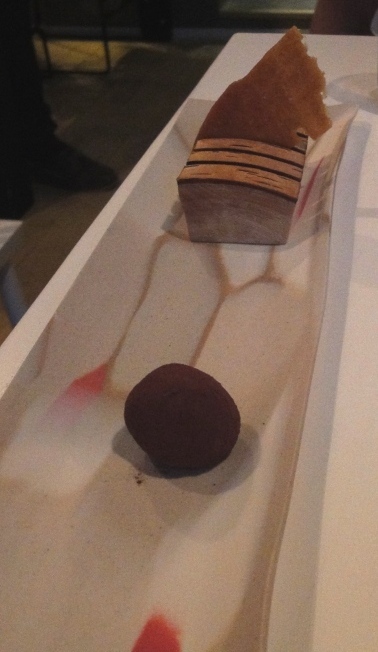 Restaurant Demo deserves Michelin star because of excellent food experience. One change in selection of wines for food; grade for food experience would have been 5. Restaurant became almost full in the evening which meant that service became a little bit slower. Started dinner quite early when there was only few people seated. Got greeting from kitchen and two first courses quite quickly which meant that had 3 wine classes simultaneously at the table. Would have hoped a little bit more balanced timing for waitering, but staff explained well the contents of portions and what wine was served with each dish. Regarding to some sources (Markkinointi & Mainonta) second Starbucks should be opened at Akateeminen Kirjakauppa which is part of Stockmann Group. Biggest Akateeminen is located on the corner of Pohjois-Esplanadi and Keskuskatu. There are already two cafes in book store but Starbucks might change the situation. Restaurant Piccolo Mondo, located at Aleksi’s coutyard, is a family owned restaurant which has been operating in the same place since 1991. Inside dining hall has room for about 80 people and during the summer season terrace holds about 100 additional seating. 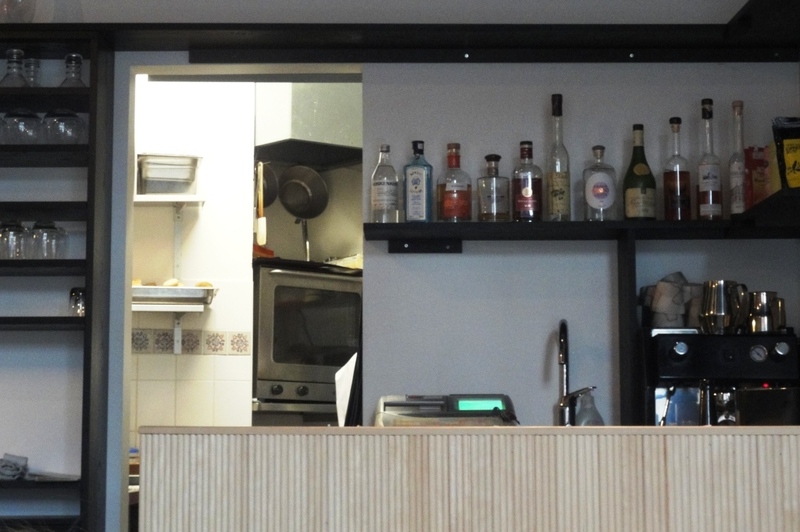 Piccolo’s kitchen combines Mediterranean influences with Finnish traditional cuisine. You can order pasta, risotto, pizza, salad and seafood dishes as well as desserts. Restaurant has had same tables at the terrace quite long, suggest to replace them. There are also two other restaurants at Aleksi’s coutyard (Aleksin Piha), Santa Fe and Grande Grill. Santa Fe serves tex mex food like fajitas and from June to August from Monday to Thursday you can enjoy live music performed by local artists. Piccolo Mondo customers can also hear and watch music. Grande Grill serves meat and sandwiches nad have same tables at the terrace as Santa Fe. Would say that Santa Fe is most popular restaurant of the three at Aleksi’s coutyard. Started dinner with large Antipasto (8 pieces) including Mozzarella, gorgonzola, cold smoked salmon, prosciutto, marinated champignon mushrooms, olives, marinated artichoke and melon. Mozzarella was Buffala which was bonus, mushrooms tasted best, artichokes shoud have been grilled but now tasted too much for vinegar. 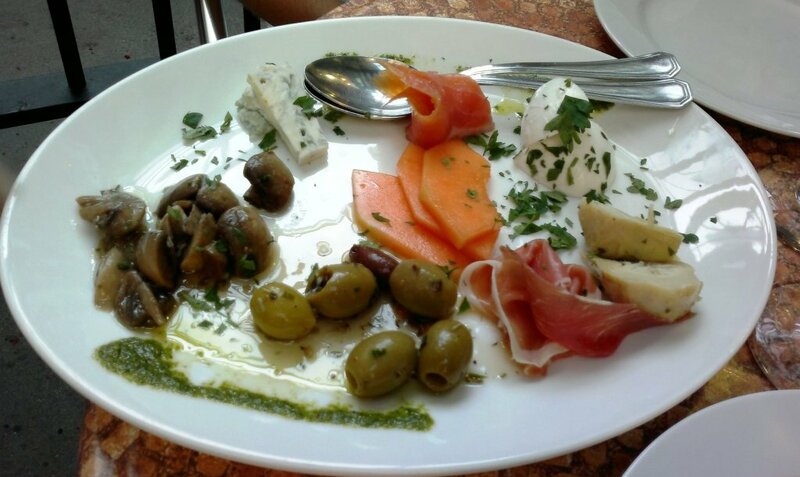 In overall appearance of antipasto plate looked too much tinned food. 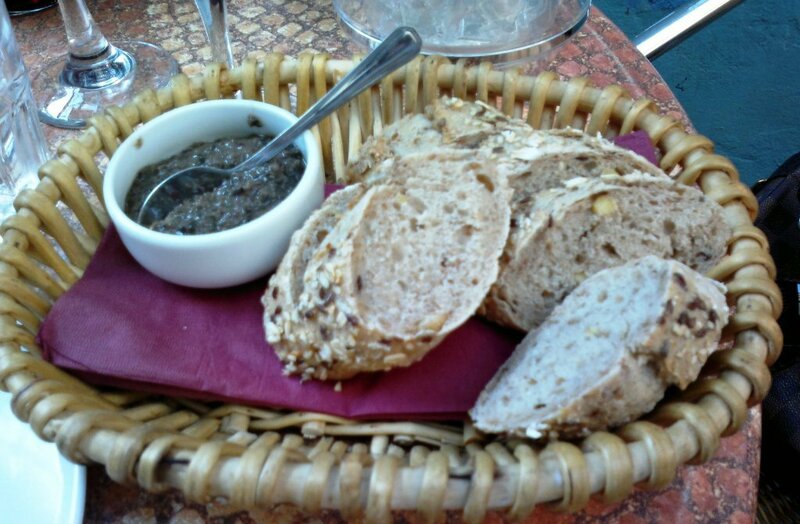 Also ordered Bread Basket fresh bread and tapenade spread, maybe the most expensive bread in the restaurants but good. 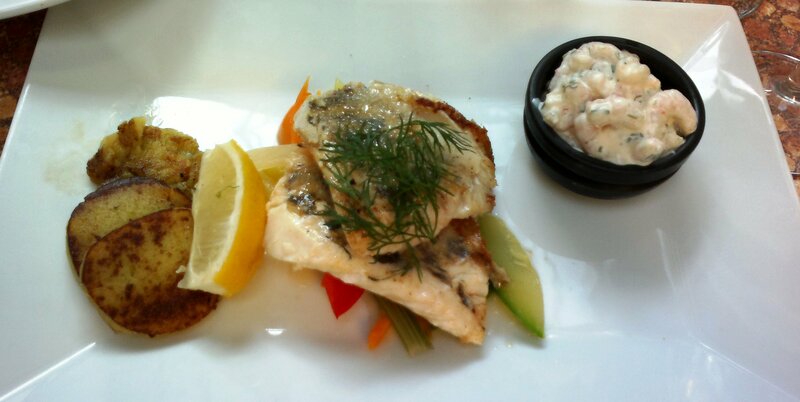 Restaurant suggested to order Pike perch in August which we did. Fish came with steamed vegetables, potato cakes and shrimp remoulade. Wondered if chef had used white pepper instead of salt. Had to also add salt which is really rare for us. 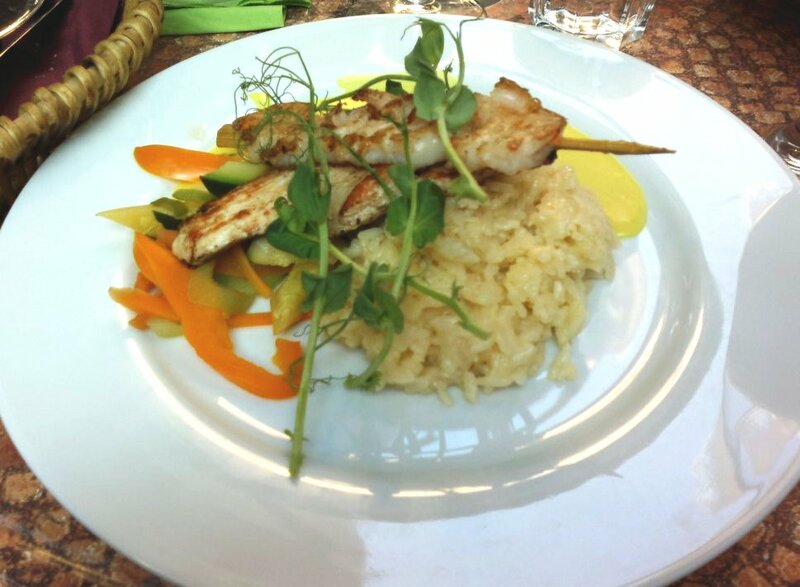 Also ordered Surf & Turf Fried chicken breast fillet, jumbo shrimp skewer, coconut-citrus sauce and creamy white wine risotto. Chicken and shrimps were ok but risotto was more or less like porridge. For side dish ordered Mixed salad which balanced main courses well. 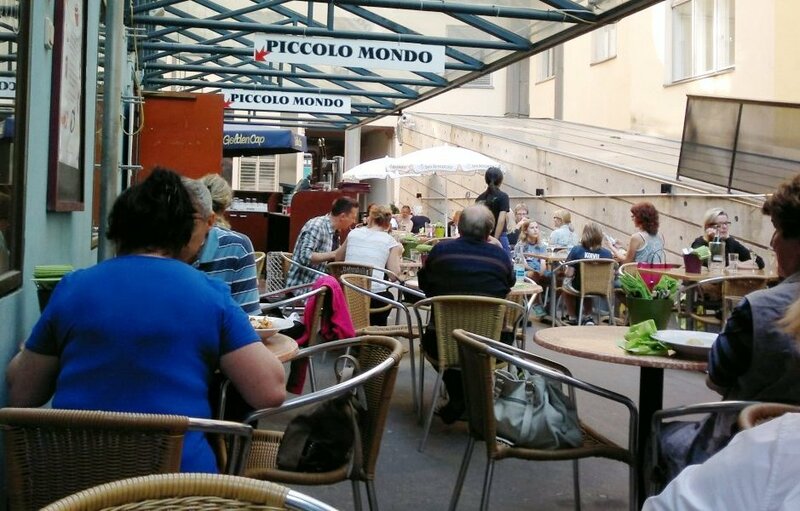 The terrace of Piccolo Mondo is casual and perfect place to eat pizza in the summer. 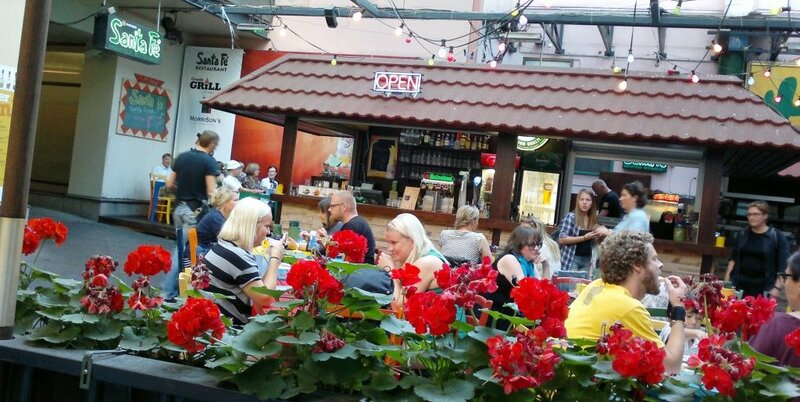 It is more quiet (no own music and less noise) than other two restaurants at the Aleksi’s coutyard which makes conversation easier. If you decide to dine at coutyard and all tables are occupied, wait for a while close to the tables and run to released table right away because you are not the only one trying to do the same. World’s first pop-down restaurant will open in the Tytyri mine on 10th of September, 2012. Interesting experience as dining room will be 80 meters below ground. You can find info about the restaurant and mine behind the links below. Kitchen will be run by Restaurant Muru which is one of the most popular restaurants in Helsinki at the moment. 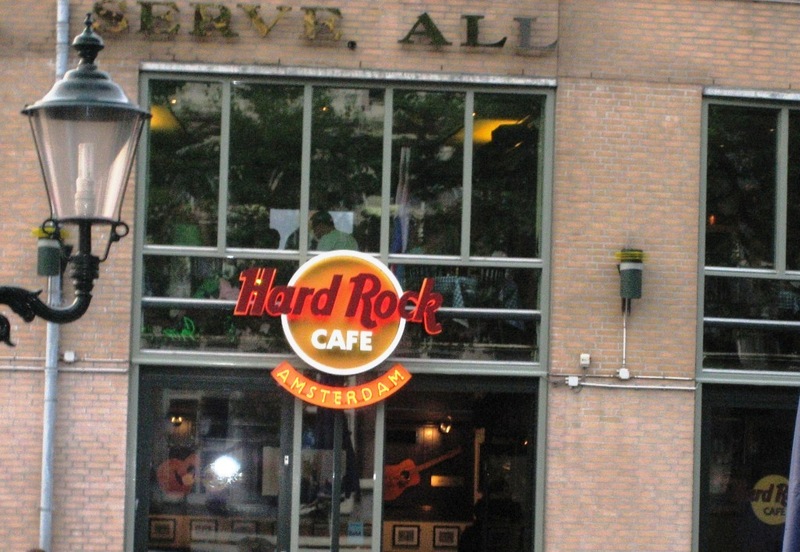 Legendary music restaurant chain Hard Rock Cafe should have opened in Helsinki this Summer. There were rumours about coming opening already last Autumn but lets see if it will happen now. Hard Rock Cafe Helsinki will locate in the centre of Helsinki, in Aleksanterinkatu 21. Or was this a joke because of 1st of April; company had recruitment ad in main newspaper on that day? Nearest restaurants are the moment in Stockholm and Copenhagen. 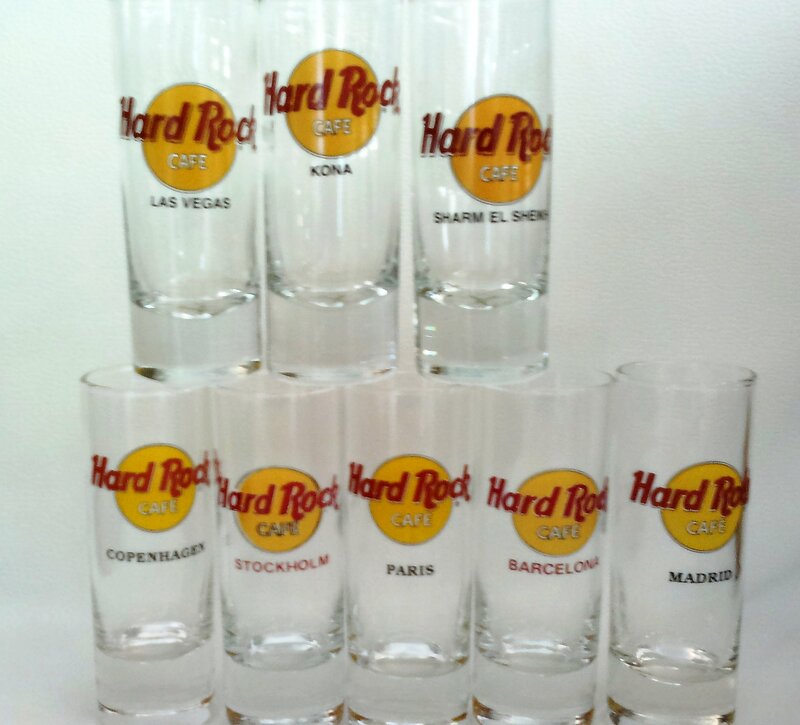 Maybe we see shot glass with Helsinki name before Christmas. Update on the 11th August: opening is postponed to late Autumn, maybe October. Lets see when the opening actually is? 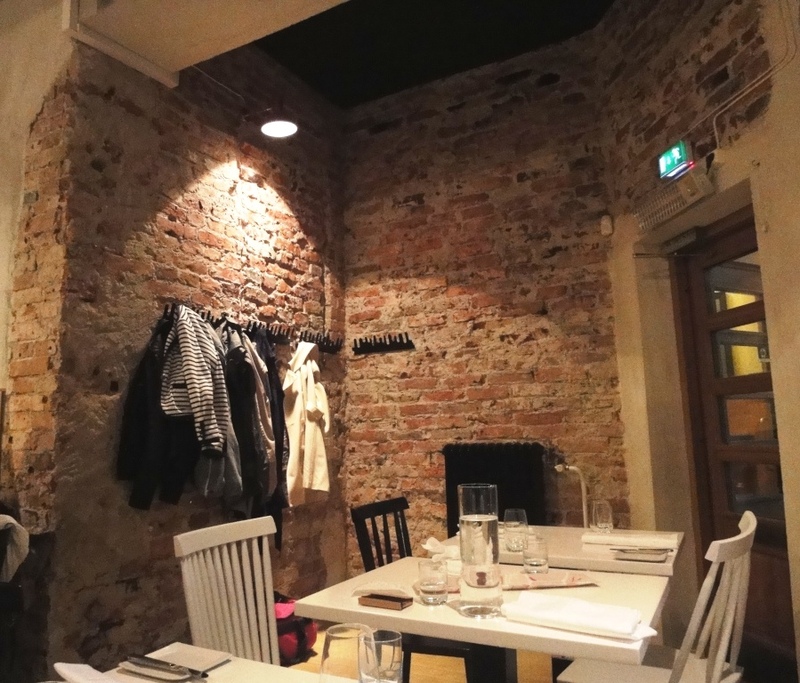 Restaurant Spis is small 18-seat Nordic restaurant in Kasarminkatu, Helsinki. It is open only in the evenings at least at the moment. Because restaurant is small and very popular you have to choose to dine early at 5PM or later at 730PM or 8PM. 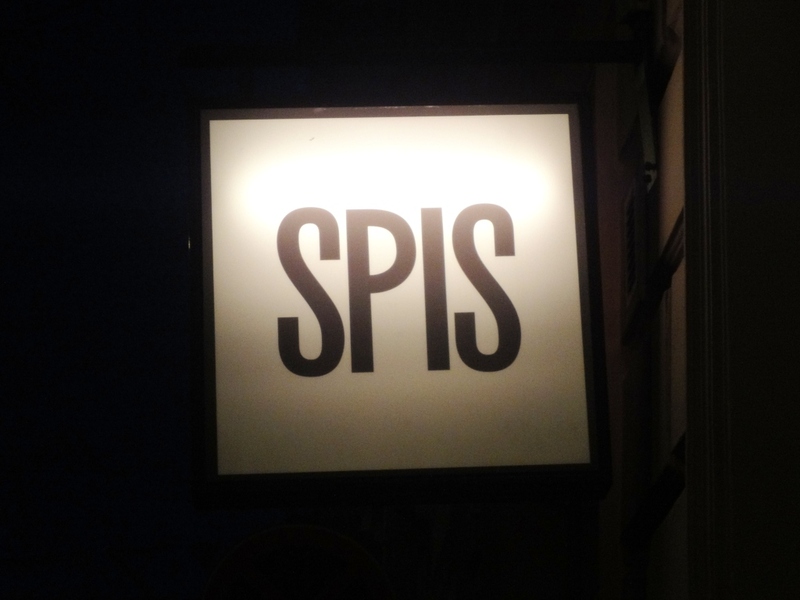 Spis provides surprise menu only later in the second sitting, otherwise a la carte list is available. The walls of restarant were left original, one wall looked like it was still under work. To start with we were suggested to try French dry pear cider (Jean-Paul Brun Charme Blanc de Blanc) which was the best cider ever. Finland is the country of ciders, but all local ciders are apple juices with different flavours, not real ciders. As we decided to taste surprise dinner and wines we let the kitchen lead the way. 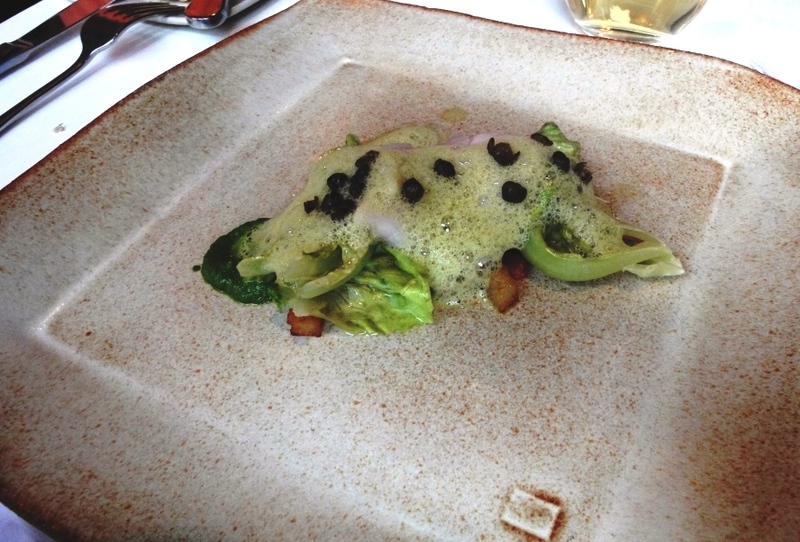 All dishes were also in the a la carte list. 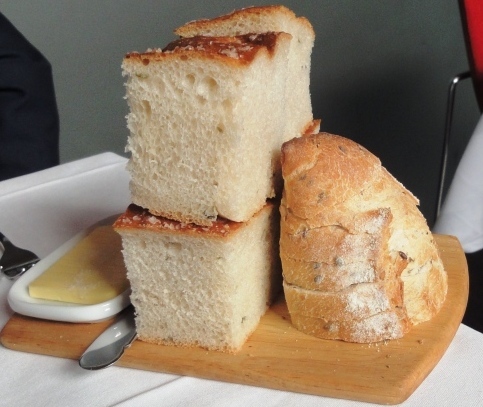 Restaurant is also specialized in breads, first was served wheat bread, then dill bread and lastly onion bread. Also peas cand be found in almost every dish. First suprise were chips which started the dinner. Second one was greetings from kitchen, Perunaa ja voita “Potato and butter“, so simple but always delicious. It is common to eat this combination with fishes but actually it does not need any side dishes, it is a dish. 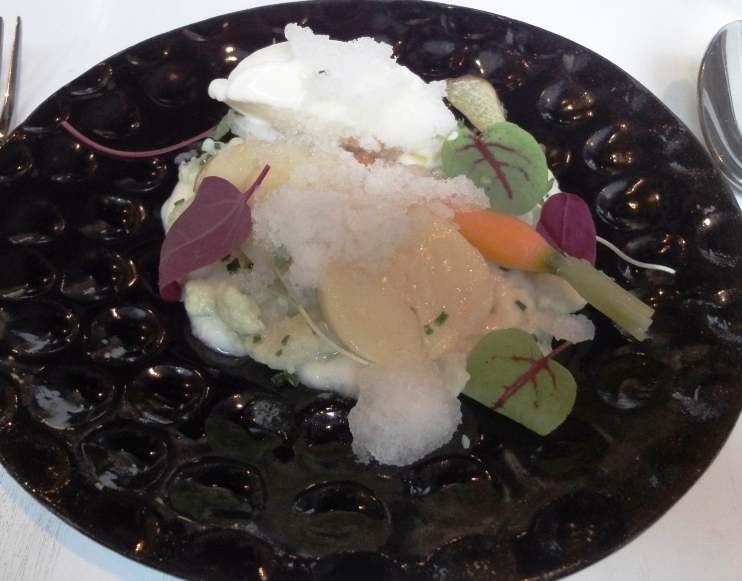 Then kitchen brought first real food so called Kesäkeitto “Vegetables and milk” which is traditional Finnish food. This time the soup was without stock and it was really cold, almost frozen. 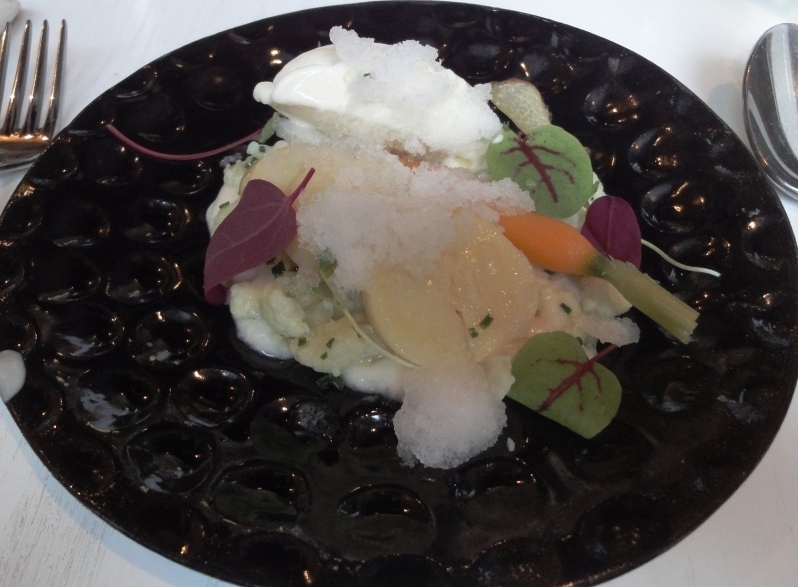 It included milk ice cream, snow pyre, peas, cauliflower, carrot and salad leaves. Wine was medium dry Pinot Blanc which suited quite well for the dish. However, mixed feelings but main courses were bull’s eyes! 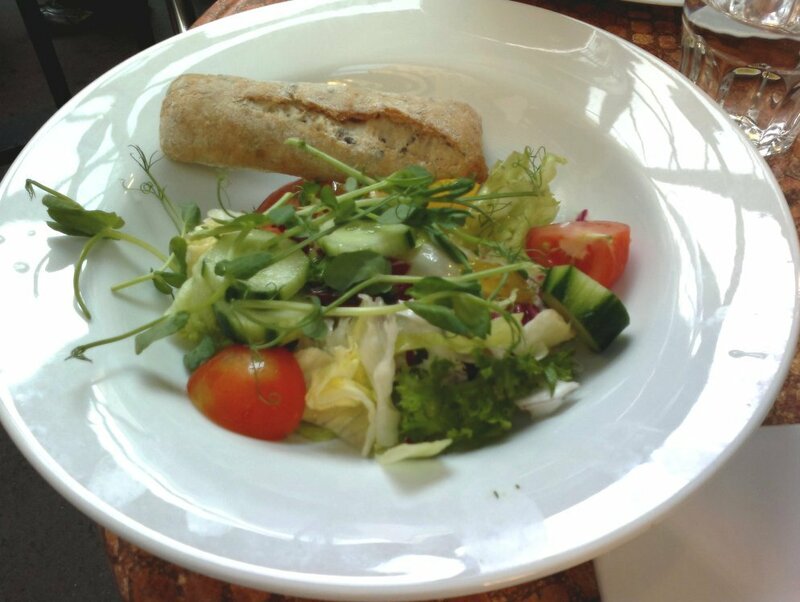 So called main courses started with Siikaa ja lehtisalaattia “Whitefish and lettuce”. Really enjoyable; fish was boiled up to 42 celcius degrees which made it really soft. It is rare that fish is prepared by boiling not roasting or frying. Also side dishes were delicious and complemented taste of fish perfectly. This time wine selection was not so succesful, maybe it was due to Muscat grape. 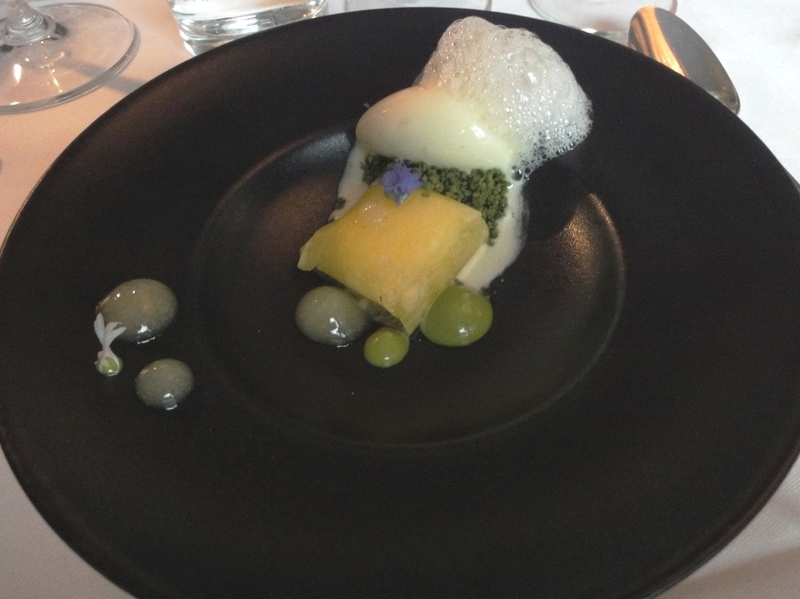 Between main courses kitchen served Lonkero sorbet with grape fruit. Lonkero is traditional Finnish mixer you can not get anywhere else. It consists of gin and grape lemonade and was introduced in Helsinki olympic games 1952, 60 years ago. 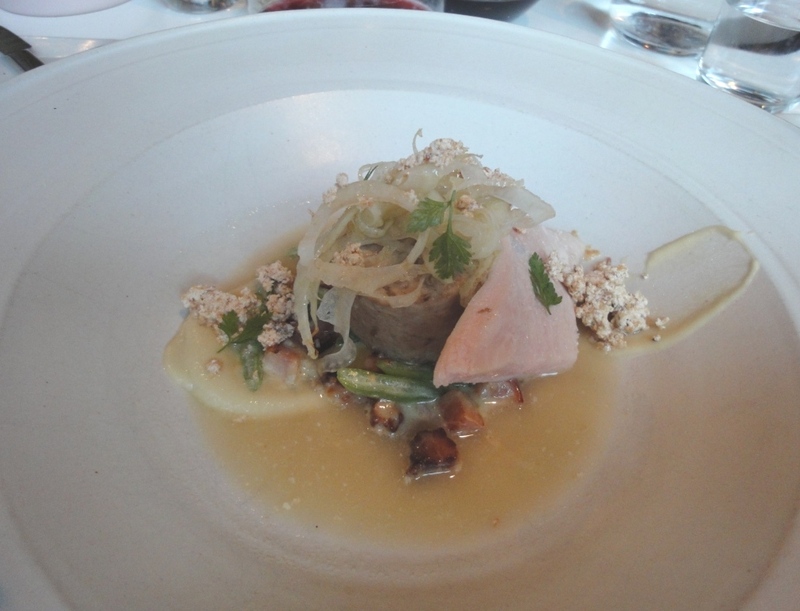 Next main course was Kukonpoikaa ja fenkolia “Cockerel and fennel”. Cockerel was served with two ways, piece of breast and great ragout. Ragout was excellent and suited well with fennel and small fried potato pieces. Wine selection was from Beaujolais and match was excellent. Dessert was peculiar as it included also peas; Hernettä ja pannukakkua “Peas and pancake”. However, it was scrumptious. 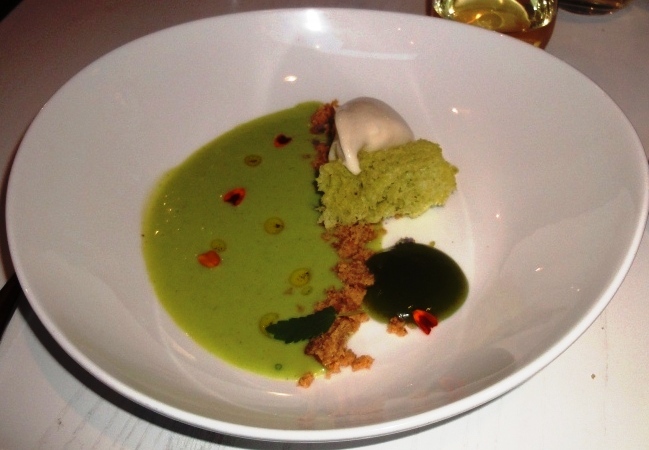 Pea soup was sweet; pancake did not look like traditional as it was green, more like pastry. Asked one portion without pea soup and ice cream and that was taken in count well. 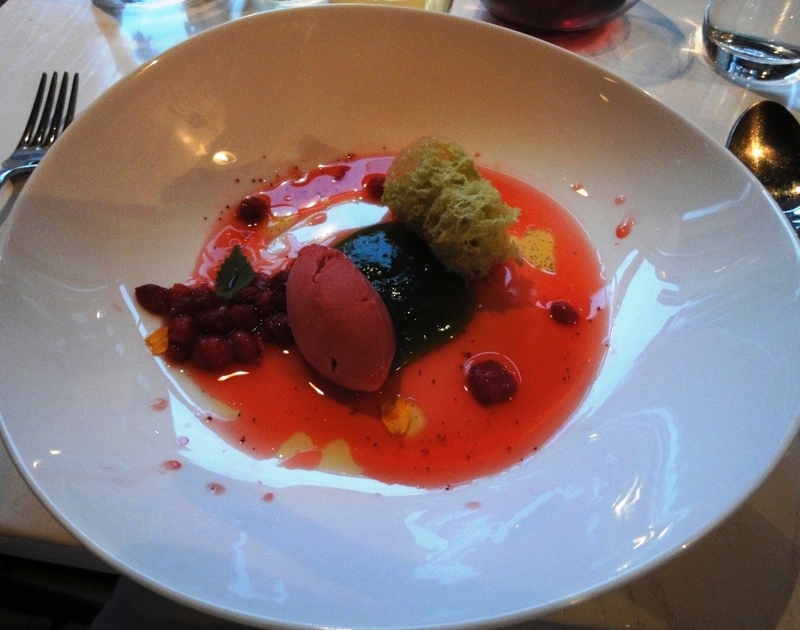 Portion included sorbet and strawberry soup. Dessert wine was Riesling, which is not so common grape for sweet wines but perfect match for desserts. Spis offers one interesting speciality; rum from Åland! Had to taste it with coffee and can recommend. Taste is mixture from calvados and rum. Kitchen’s greetings also with coffee. Food and service are excellent, hope Spis finds bigger dining room in the future.